Add a concert date to Orange Goblin. Subscribe to the concerts alerts of Orange Goblin. 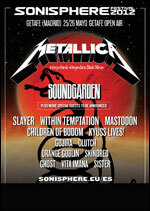 Hellfest Productions presents "Hellfest 2009"